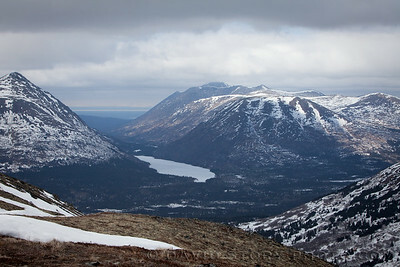 Spring up through the Yukon and back to AK. 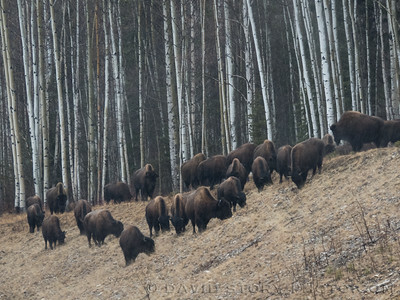 2017 04 10: Wood bison (Bison bison athabascae) graze near Muncho Lake, BC. 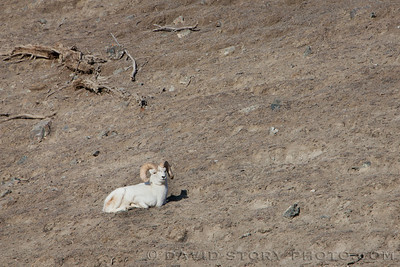 2017 04 11: Dall sheep (Ovis dalli) resting in Kluane National Park, Yukon, Canada. 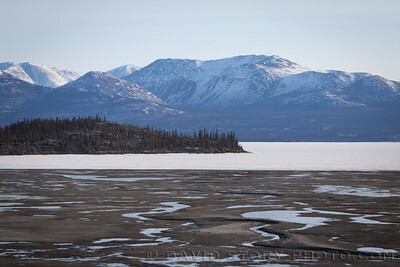 2017 04 11: Low water levels in Kluane Lake. 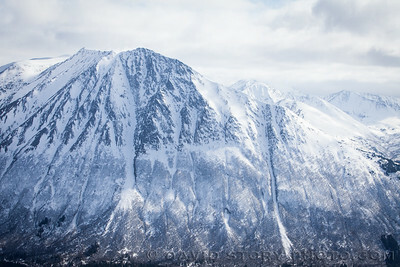 Kluane National Park, Yukon, Canada. 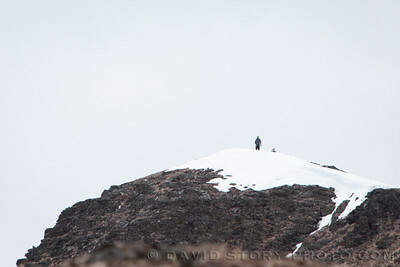 2017 04 16: Snapshot on Juneau ridge. Cooper Landing, AK. 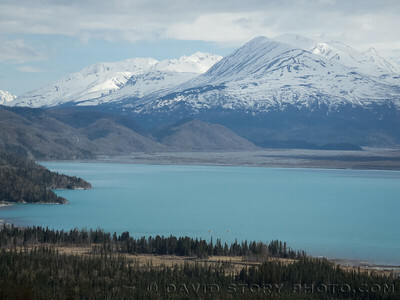 2017 04 16: Where the Kenai turns from lake to river. Cooper Landing, AK. 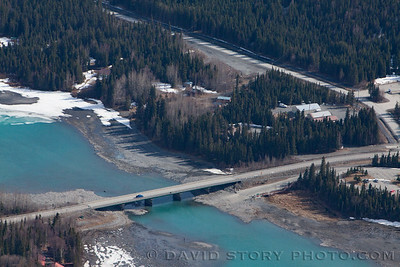 2017 04 16: Kenai Lake flowing into Kenai River and past Cooper Landing, AK. 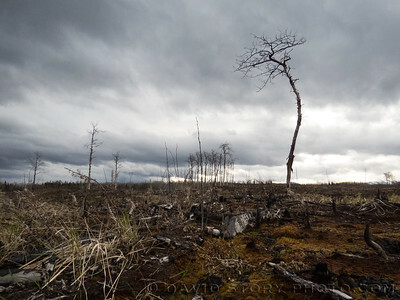 2017 05 07: A few birch continue their lives along Skilak Loop Road after most trees in the immediate area were cleared as a fire break or consumed during the 2014 Funny River Fire. 2017 05 10: Dwarfed by the size of the surrounding wilderness, rafts cross the glacial waters of Skilak Lake, AK. 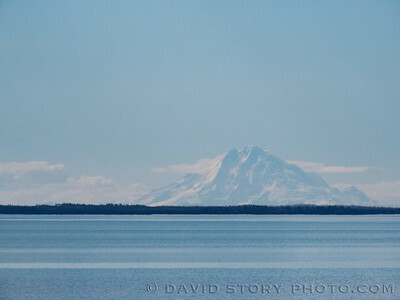 2017 05 10: The highest of the Aleutian Range at 9,150 ft., Redoubt is one of three volcanoes most commonly visible from Skilak Lake, AK. 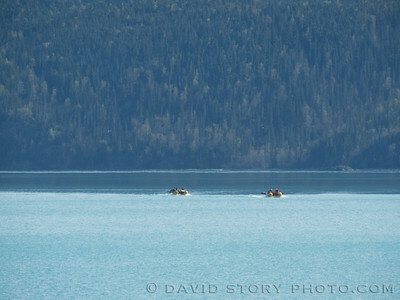 2017 05 11: Rafts crossing Skilak Lake, AK. 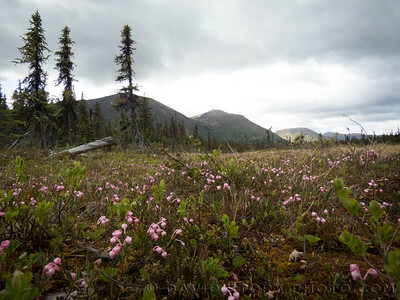 2017 06 07: Bog Rosemary (Andromeda polifolia) like these pink plants near Bean Creek in Cooper Landing are common throughout Alaska and highly poisionous.